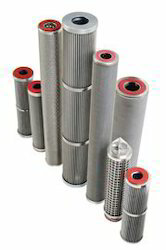 Wholesale Trader of a wide range of products which include spun bonded filter cartridge, pulse jet dust collection systems, cartridge filter housing, pvc-cartridge, stainless steel filter cartridge and carbon cartridges. » NSF42 and FDA CFR title 21 Certified cartridges are available. 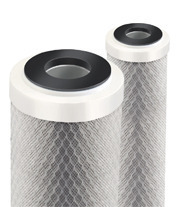 » Spun bonded filter cartridges are made up of 100 % poly proplyne. The cleaning procedure occurs on a rowbyrow basis therefore only a fraction of total filter air is interrupted for cleaning allowing continuous ventilation. 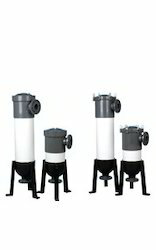 Filter Concept PVC Filter Housings combine design simplicity with high filtering quality. 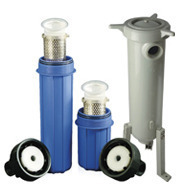 PVC Filter Housingsoffers wide range of flow capacities & contaminant holding capacities. 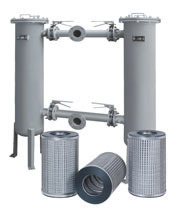 Cartridge filters are normally used as polishing filter in almost all process industries. Carbon block cartridges are designed for high effective filtration of water for certain VOC’S, pesticides, chlorine, odor & test & sediment reduction down to 5 micron. These cartridges are manufactured entirely from FDA compliance materials. 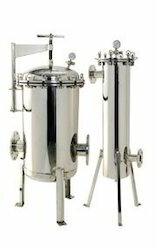 They are suitable for potable water filtration, as well as many industrial, commercial & food service applications. 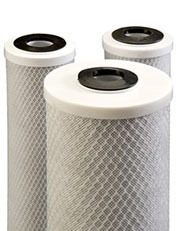 Its nominal filtration rating makes it excellent for polishing filters of pre filters in applications which require very fine filtration. These cartridges are effective at filtering giardia & cryptosporidium cysts from potable drinking water. » Instantaneous adsorption. Better than activated carbon. » Removes dissolved and dispersed oils. » Typically, over 90% of total hydrocarbons are removed in a single pass through the cartridge with no release once adsorbed. » Lower outlet levels of hydrocarbons can be achieved by connecting cartridges in series. » Higher flow rates also can be achieved by connecting cartridges in parallel. 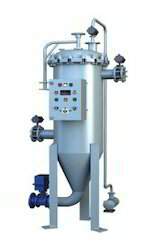 » High filtration accuracy, stable filtrate quality and supply. » Due to its own search and emergency operation function, self cleaning filter can do automatic back-washing and can cope with volatile fluctuations without manual intervention. 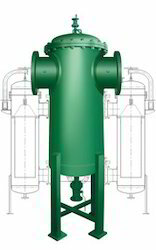 » Filtration equipment control system is unique and has a precise operation, which is to adjust back-washing pressure setting according to different sources and filtration accuracy in a flexible way. » The system has high efficiency and strong recovery. Its cartridge can be used for longer period without replacement. » During the back-washing process, each cartridge operates in turn and meanwhile the other cartridges continue the filtration process without being affected. 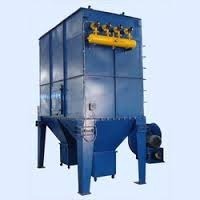 » Self cleaning filter has a drain valve, which has a short-back-washing facility and consumes less water, thereby saving water, power and energy source. » Reasonable and compact structural design. » No consumable material, low operation and maintenance cost, simple operation and management. 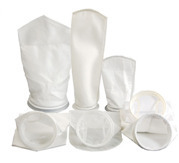 Looking for Central Dust Collectors & Filters ?